Behind the Brand with Stacie Ten Eyck of Eunoia Naturals – Love Yours Gives, Inc.
Q: What led you to the world of aromatherapy? A:Before Eunoia Naturals, I served as the Director of Catering and Convention Services for several upscale restaurants and resorts. This career was fast paced and stressful. The long hours and stress of wedding and corporate event planning started to affect my emotional and physical wellness. I suffered from anxiety and insomnia for many years. Finally, I had reached my breaking point with health issues and exhaustion and started researching natural ways to improve my overall health. I had always valued exercise and practiced healthy eating habits, however this wasn’t enough. So, I started to investigate other options in which I could do to improve my wellbeing. After a year of research, the benefits of essential oils intrigued me. I found that there were many essential oils, as well as aromatherapy mists on the market yet the majority contained chemicals or additives, which are not intended for therapeutic use. Being a believer in organic and all natural products, I began to experiment with different essential oils and formulations for my personal use and became convinced that the benefits of pure essential oils could add to my personal wellness regime. Q:Transitioning from a corporate career, how did you immerse yourself in the world of essential oils? A: I was blessed to find and partner with some of the most educated aromatherapists that have researched essential oils over the past 20 years and that have traveled the globe to find the highest quality oils. As a plant based derivative, the best essential oils are much like the best wines. The geography, climate and distillation process all have a significant impact on the quality of the end product. There is much to learn about essential oils, I have spent countless hours with aromatherapists, suppliers and other like minded individuals. These interactions inspired me to develop a series of high quality, organic essential oil products to enhance the daily wellness for all. Q: What is the difference between Eunoia Naturals and the everyday products that you can purchase online or at the farmers market? A: The vast majority of products on the market have been diluted or are made with synthetic fragrance. As with most things, it pays to carefully read the label. I created the Eunoia Naturals brand and product line, which consists of four different aromatherapy mists intended to promote overall natural wellness. These mists are intended for easy daily use and no mess like when using a diffuser. Each blend has been clinically tested and the essential oils are 100% PURE THERAPUETIC OILS. There are thousands of essential oil suppliers, however most all of these products are not formulated or tested for quality assurance purposes. Q: What are some tips for overcoming anxiety? A: Listen to your body. Incorporate eating healthy, exercise, and natural products into your everyday regimen. Stress is one of the biggest factors that negatively impact health and mental wellness. Take the next step and start using undiluted, targeted essential oils that will enhance your well-being. Q: Any exclusives on some new products you're working on to promote happiness, natural healing and wellness? A: I have recently developed a 30-minute guided sleep meditation audio recording that will be released prior to the holiday complimenting RELAX aromatherapy pillow mist to promote falling asleep and staying asleep. Eunoia Naturals will not be standing still in 2019, look for products targeted towards helping our children and a natural perfume oil line containing no harsh chemicals as. 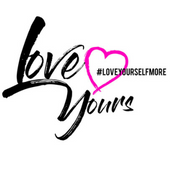 Q: What's the most recent thing you've done to simply #loveyourselfmore? A: I recently took a trip to the white sandy beaches of Tulum, Mexico and enjoyed decompressing with an off the grid experience with my closest friends. Took the time to disconnect from the hustle and bustle of everyday life and practiced yoga, engaged in group meditation, read a motivational book and just relaxed. Q: What's the inspiration behind Chloe and Chad? A: The company is named after my daughter and son. Don't miss out on our Summer Favorites! Subscribe now! Q: When women support women, dynamic things happen. Please share the inspiration behind this mother/daughter-owned beauty brand. Q: How do you pronounce SVATI and what does it mean? Did you, too Fall in Love with Svati Organics? Q: Shed some light on what led you to create what is now known as Taupe Coat. It's Time To FALL In Love With You!